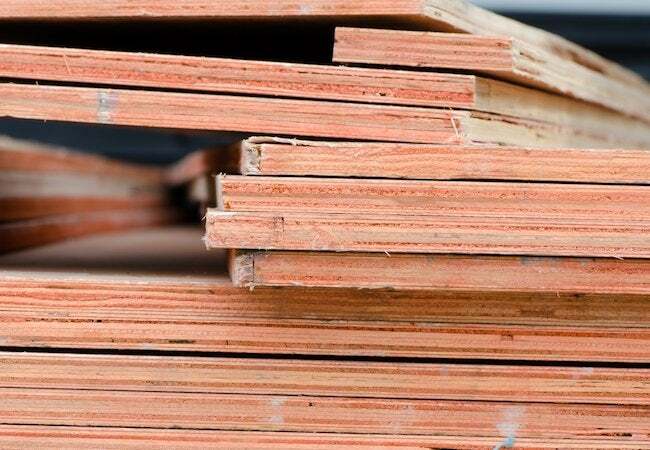 It's used in everything from floors to furniture, but how much do you really know about plywood? A manmade material prized for its great versatility, plywood appears in elements of the home as various as flooring, walls, doors, and furniture. Strong and lightweight—the product of several compressed, glued-together layers—plywood costs considerably less than solid wood, and in at least a couple of important ways, it offers superior performance. For one thing, its special composition makes it less vulnerable to the presence of moisture; for another thing, plywood resists the temperature fluctuations and changes in humidity that sometimes stress natural wood to the point of splitting, cracking, or otherwise degrading. Different types of plywood contain different numbers of layers, or plies, with three being the minimum. Typically, one side of the panel—its face—may be left unfinished. The back side is less pleasing to the eye. Of all the many types available, veneer-core plywood is best for holding screws, hinges, and other forms of hardware. 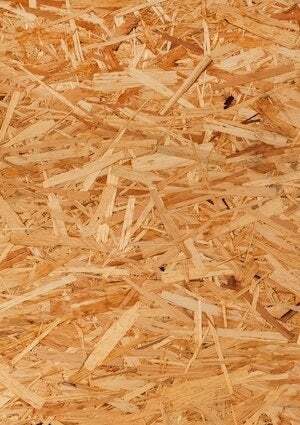 Note that some types of plywood actually have a foam rubber core, which enables them to function as insulation against both weather and sound. When contractors and do-it-yourselfers mention plywood grades, they are referencing two separate measures—one for the face of the panel, another for its back side. Plywood faces are graded on a scale from A to D. Plywood backs are graded on a scale from 1 to 4. Thus, A1 plywood boasts top quality on both sides. A4, on the other hand, features a quality face but is likely to show defects or discoloration on its back. You can expect plywood grades to be stamped visibly on the sheets you are considering. Plywood usually sells in four-by-eight-foot sheets, but that’s not always the case. Two- or five-foot widths are available, as are lengths between four and 12 feet. Pay special attention to plywood thickness: There is often a 1/32-inch discrepancy between the stated measurement and the actual one. • Good-quality veneer provides a nice symmetrical pattern. • Seek out a flat sheet with core layers that feel even and free of warping. • On the edges, there shouldn’t be too many knots or voids. For the most visually satisfying results, you may choose to paint your plywood project. It’s easy to do—simply follow these guidelines. First, clean the plywood surface thoroughly. Next, sand the plywood to a smooth finish before applying a base coat of primer. Proceed to paint only once the primer has completely dried. Initially coat on a thin layer of paint, then follow up with additional coats as needed. Between each coat, remember to wait for the paint to dry fully. Using an oil-based paint is recommended.